We are a multicultural evangelical church in Western Sydney, a community of people that want to learn and grow together to know and trust Jesus as our Lord and Saviour. We do that by striving to love, live and serve in his grace because he has died for our sins and was risen ahead of us. People at our church come from different ethnic, social and educational backgrounds. Whether you are new in the area, just passing through or exploring Christianity, we would love you to be our guests. 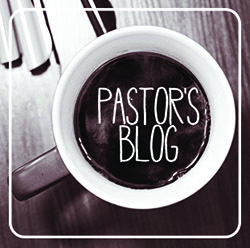 If you have no experience with church, please don't be afraid. Our meetings are relaxed and you’ll always find a warm welcome. You can also be assured that we won't ask you to say or do anything that you don’t want to. Our church building is located on the corner of Cameron Street and Hill End Road in Doonside (click here to see a map). Our Sunday service is at 10am (or 9am for Christmas Day and Good Friday). Currently at our service at 10am we use the various orders outlined in the Anglican prayer books, yet projected on to a screen. It not only makes the service easy to follow for our guests, but helps us to apply biblical principles, as we come together before our loving God and heavenly Father. In our Sunday service, we have Bible readings, a sermon (or a Bible talk), singing, a time of prayer, and holy communion twice a month. We enjoy morning tea together after the service. If you've got children, they'll be well looked after here. 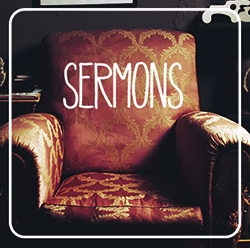 We have a Kids Church during the sermon time (in school term only). We also have small group meetings and other activities during the week, including a Mainly Music group and a Christian youth group. 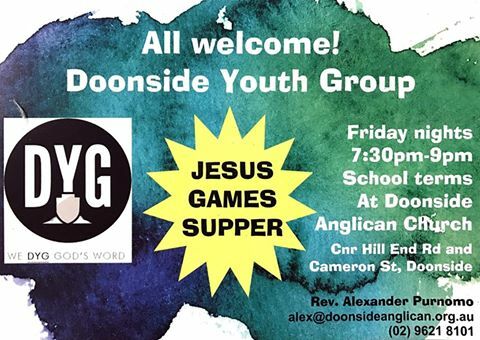 For more information, please contact Alex at 9621 8101 or alex@doonsideanglican.org.au or click one of the links below.